High fructose corn syrup, the sugar alternative used to sweeten sodas, cookies, condiments and cereals, is beginning to lose some ground in the packaged-food industry. More big-name food and beverage products—including Kraft Foods Inc.'s Wheat Thins —have begun dropping the ingredient in favor of sugar, despite a big difference in cost, saying they are responding to consumer preferences for ingredients perceived as more natural. 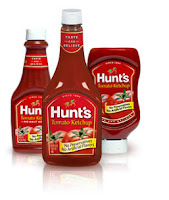 ConAgra Foods Inc. in May will start replacing the sweetener with sugar in its Hunt's tomato ketchup. "That's what consumers are looking for—simpler ingredient listings and ingredients they are familiar with," ConAgra spokeswoman Teresa Paulsen said.